Unleash your inner geek and let this irreverent romp through the wonders of the garden yield practical results. Curious why caressing your cucumber plants will help them bear more fruit? Or why you should grow oranges from seed even if the fruit is inedible? Or why trees need to sleep and how to help them? Why the dead language of Latin can make you a better gardener. 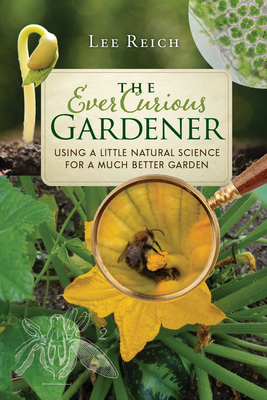 The Ever Curious Gardener is an irreverent romp through the natural science of plants and soil, ideal for newer gardeners moving beyond back-of-the-seed-pack planting to experienced gardeners whose curiosity at the wonders of cultivation grows deeper and stronger with each season.